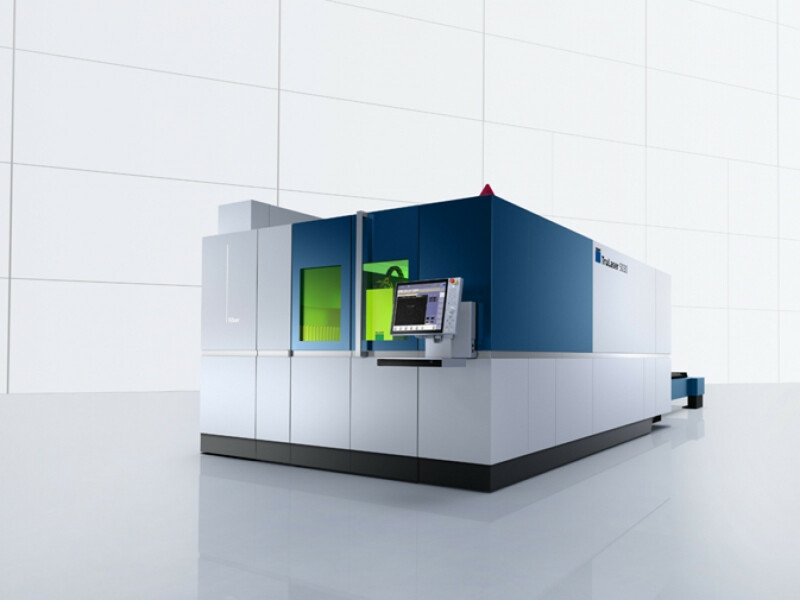 Our new Trumpf 5040 Fibre laser completes its installation today (15/12/15)and will be operational as from tomorrow. Two operators complete their training, at Trumpf, later today and will be back to start production tomorrow. The new machine is a 5kw Brightline Fibre laser incorporating the latest technology and, as well as cutting the materials everyone has expected of us in the past, it is also capable of cutting brass and copper. It will be especially productive in the thinner ranges of material where processing speeds are, in some cases, multiples of machines using older technology.